Item # 317505 Stash Points: 3,195 (?) This is the number of points you get in The Zumiez Stash for purchasing this item. Stash points are redeemable for exclusive rewards only available to Zumiez Stash members. To redeem your points check out the rewards catalog on thestash.zumiez.com. 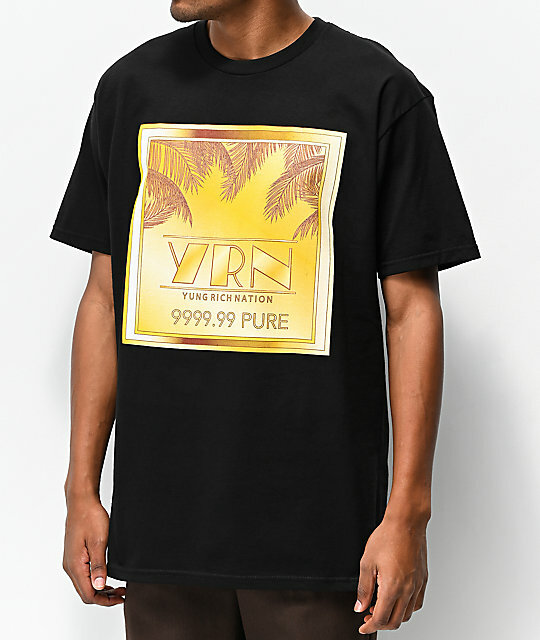 Create new daily looks with the Yung Rich Nation Gold Bar Black T-Shirt. Exaggerating a bright, gold logo graphic on the chest, this soft, cotton constructed t-shirt is sure to grab attention whenever worn. 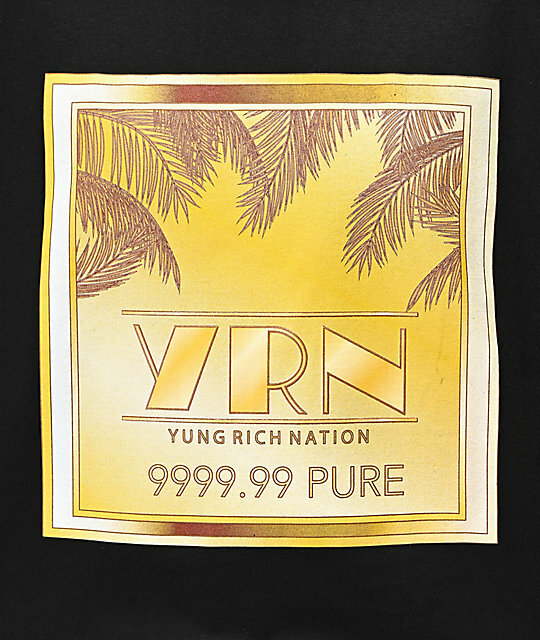 Gold Bar Black T-Shirt from Yung Rich Nation.